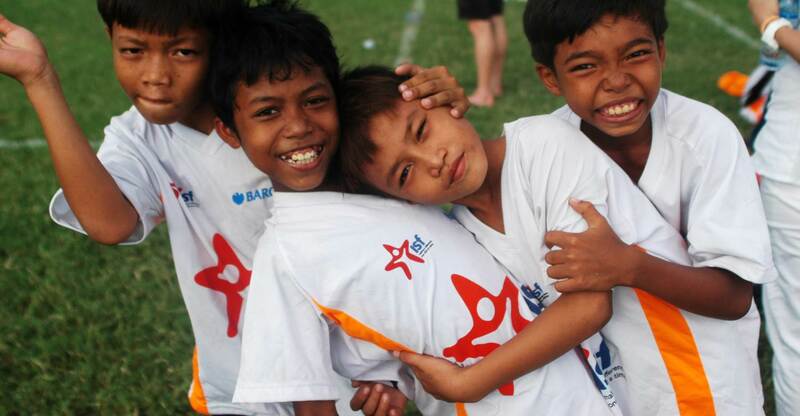 Founded in 2005, Indochina Starfish Foundation (ISF) combines educational and football programmes to help young people develop the skills and confidence to break out of poverty. 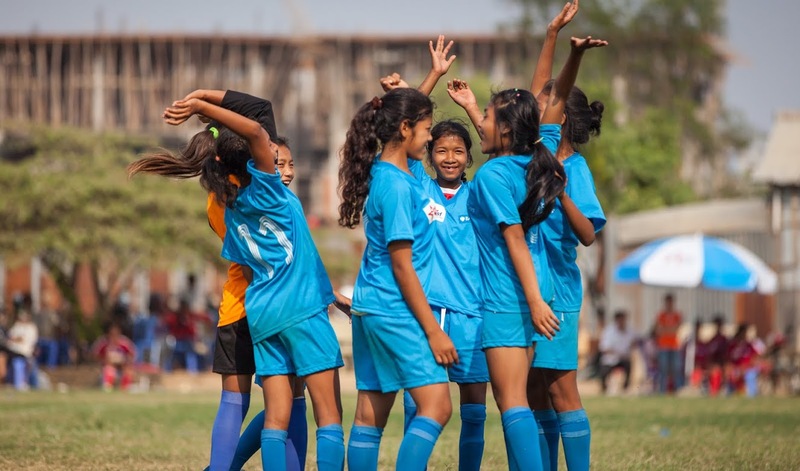 The organisation creates safe spaces for young people from low-income areas to play football, offers catch-up academic lessons to children falling behind, and supports them through further vocational training or education. The ISF curriculum addresses drugs, alcohol, gambling, human trafficking, human rights, domestic violence, gender equality and self-respect. Embracing the notion that everyone has the right to play, ISF provides sports opportunities for young people with disabilities, using football as a tool for social integration. ISF is looking for a Communications Guru to join our team! The Communications Guru will help create powerful and engaging communications materials to deliver to key audiences, maintain and update ISF’s communications platforms and assist with the creation and delivery of marketing and promotional materials. Have you signed up to join the #RunforISF team at the 2017 Angkor Wat Half Marathon yet? Our first supporters are already registered and will be running with us to raise vital funds for our education and football programmes. Happy Children’s day from all of us at ISF! ISF ជឿជាក់ថា គ្រប់កុមារទាំងអស់មានសិទិ្ធក្នុងការទទួលបាន ការអប់រំ, ការថែទាំផ្នែកសុខភា និង ចូលរួមក្នុងវិស័យកីឡា ! 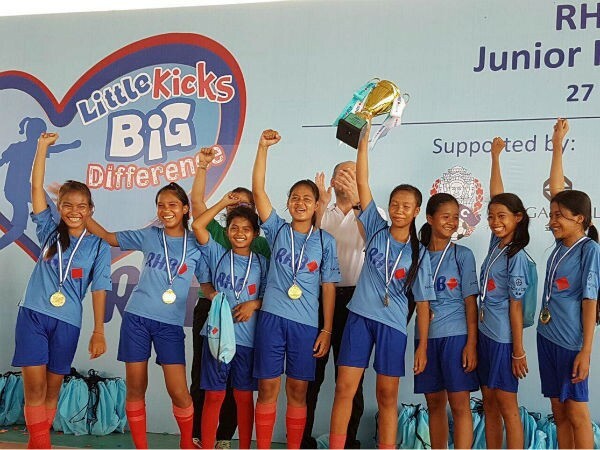 The ISF Youth League 2016 – 2017, which had 95 competing teams, successfully closed on Sunday 21st May 2017, at the ISF Sports Ground, Phnom Penh. Launched in late November 2016, the league took 17 weeks to conclude the whole season providing a lot of joy and fun to all the participating disadvantaged players, team supporters and leaders. The four volunteers from the University of Brunei Darussalam (UBD) have finally completed their services today. Time simply flew by so quickly, and now we have to say “goodbye and good luck” to them. The students from both ISF1 and ISF2 centers got to know these four ladies well as they were assigned to take turn at both centers. In the past three and a half months, Nisa M., Fizah, Izah, and Fatin have been fully engaged in every aspect of ISF students learning and interacting in English. They are a second group of Brunei volunteers who came in the last two years. The ISF Youth League Season 2016-2017. On the weekend of the 07th of May 2017, The ISF Youth League Season 2016-2017 took the place for the semi-final of sixteenth weeks this season. On the weekend of the 30th of April 2017, The ISF Youth League Season 2016-2017 took the place for the fifteenth weeks this season. On the weekend of the 23rd of April 2017, The ISF Youth League Season 2016-2017 took the place for the fourteenth weeks this season. Jaime Gill volunteered with ISF as a communications consultant in 2014 and again in 2015. His work was invaluable as he helped ISF review its communications strategy and support the management and development of ISF’s social media presence. 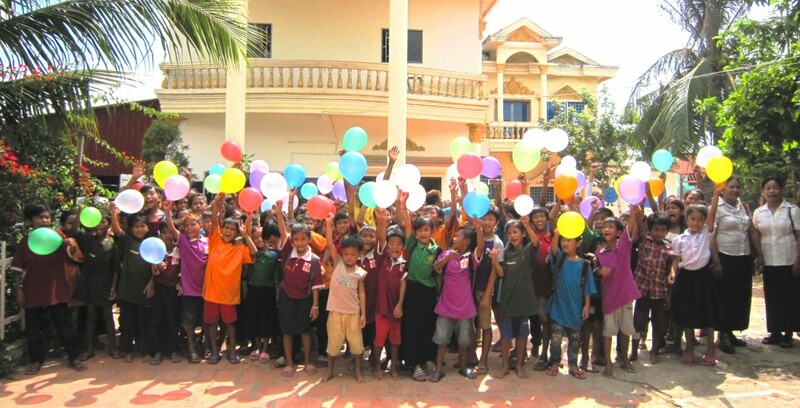 ISF is proud to be collaborating with EPIC Cambodia to offer quality English education to disadvantaged Cambodian children. In January, ISF introduced Edemy pilot programme to students aged 14 and over. Our students first work with a tablet where they can watch videos, do exercises and test their English skills. Subsequently, they attend face-to-face lessons with a facilitator and they practice and discuss what they have learnt. A group of coaches, children and parents from Hong Kong-based ESF School participated in the ESF U12 Boys Tournament on 1st and 2nd April 2017 at the ISF Sport Ground, Phnom Penh. The 1st ESF Tournament, which aims at tighten the partnership between ISF and ESF and at building the players’ confidence and skills for the purpose of sporting activity and cultural exchange, saw six ISF teams and one team from ESF competing to bring home the trophy. The players had a lot of fun and ESF were crowned winners of the 2017 ESF Tournament.